It’s all about Fun and Adventure in the CapriSonne-Minion Selfie Competition. 4. 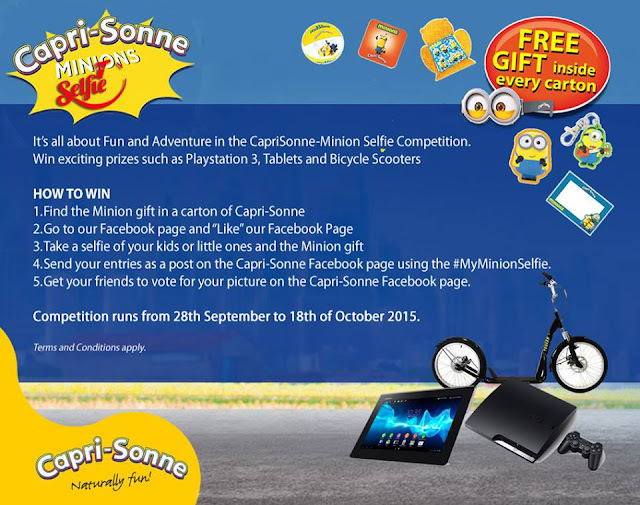 Send your entries as a post on the Capri-Sonne Facebook page using the #MyMinionSelfie. 5. Get your friends to vote for your picture on the Capri-Sonne Facebook page. Competition runs from 28th September to 18th of October 2015.